In 2016, the Coast Guard seized a record 45,000 pounds of cocaine with an estimated value of $6 billion, intercepted almost 7,000 people trying to enter the US illegally, and stopped a record-breaking six narco submarines. Coast Guard officials told The New York Times this week that their seizures helped bring about the extradition of almost 75% of Colombian cartel leaders and contributed to the recapture of Mexican kingpin Joaquin "El Chapo" Guzman in January last year. Despite those accomplishments, however, Coast Guard officials are again warning that their expanded responsibilities and increased maritime traffic have left them overburdened — a condition likely to be exacerbated by Trump administration plans to cut the service's funding. Currently, the Coast Guard has been able to pick up much of the drug flows that have shifted offshore in response to increased enforcement along the U.S.'s land borders. At-sea interdictions typically capture greater volumes of drugs with higher purity levels. Oceangoing smugglers are also more vulnerable to law enforcement. "We give you the biggest bang for the buck, but our resources are limited," Adm. Paul F. Zukunft, commandant of the Coast Guard, told The Times. "As a result, we can't catch all the drug smuggling we know about." In 2016, Zukunft added, the Coast Guard had information on almost 580 possible drug shipments, but were unable to act on all of them due to shortages of planes and ships. Zukunft is not the first Coast Guard official to sound alarm about the service's struggles to keep up with the volume of illicit traffic plying the U.S.'s approaches. In February, Vice Adm. Charles Ray, Coast Guard deputy commandant for operations, told the House Homeland Security Committee that the service was observing more smuggling operations than it could stop. "However, resource constraints and a lack of capable surface assets allow the US Coast Guard to only attack our target [in] 30% of the known cases that we have good intelligence, really high-confidence intelligence," Ray said, adding that the service could not respond to 580 known smuggling events in 2016. 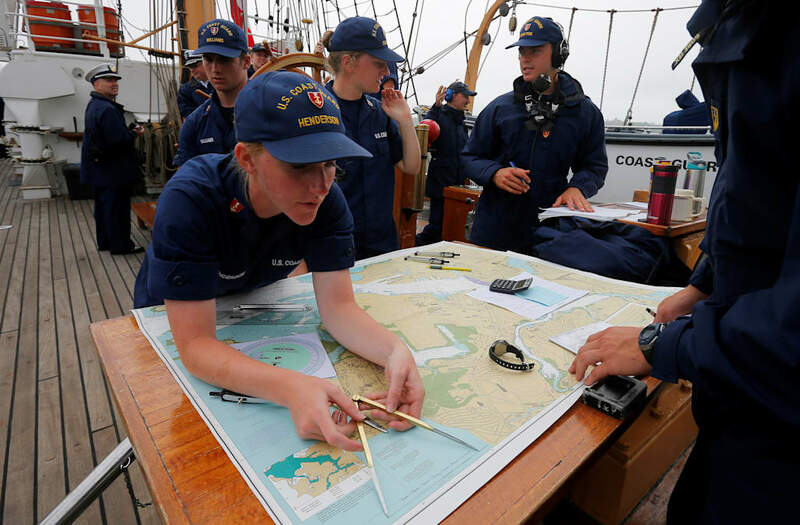 Recent years have also seen the Coast Guard's responsibilities expand to include intelligence and antiterrorism work. Changing conditions in the Arctic have raised concerns among military officials that they could see expanded duties — as well as international competition — in that region as well. "We're not even in the same league as Russia right now," Zukunft was quoted as saying in July 2015 in reference to Moscow's activity in the Arctic. "We're not playing in this game at all." "We're starting to see militarization of some of their outposts," Zukunft told Business Insider about Russia this spring. Moscow fields 40 icebreakers, while the US has just two — a medium one and a heavy one, the latter of which is over 40 years old. The Coast Guard commandant also said in summer 2016 that China's growing interest in the Arctic "does cause me great concern." The Coast Guard's budgets have stayed the same despite those added duties, however, and the latest budget proposed by the Trump administration would cut the service's current funding of about $10 billion by 2.4%. Earlier this year, nearly 60 Congress members called Trump's proposed cuts to Coast Guard funding "cause for serious alarm." Though Zukunft lauded the White House and Congress in March, and even as the service launches new ships in some of its operational areas, the commandant continues to warn that the Coast Guard is tasked with more than it can handle. "We continue to be able to see a significant amount of drug trafficking toward Central America and Mexico," Zukunft told The Times. "We are besieged in the region because of a lack of resources. Drug traffickers simply have more boats and crafts than we have ships and planes to catch them."